…with the forecast of driverless trucks, automation, artificial intelligence, big data and more, the Supply Chain Management field is going to experience massive changes in the next ten to twenty year (or less!). However, the concepts and principles in effectively managing your supply chain won’t change. Especially, if you know how to apply the principles to a changing technological environment. Do you face these Supply Chain problems? You perform supply chain management job functions but don’t have any formal training (basically learning on the job)? How to you create on-going efficiency and costs savings throughout your supply chain? 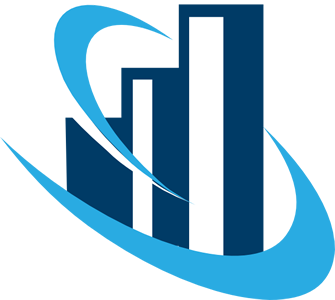 …our goal is to give you an overview and understanding of the supply chain, both conceptually and in practice, and to be able to identify and to take up opportunities for reducing costs and adding value. *OPTIONAL: CSCMP ™ Exam (via Online): Certification exam is optional. Only if you want to get certified do you need to take the exam. Duration: approx..90 minutes. Who should enroll in the Certified Supply Chain Management Professional (CSCMP)™ training course? This course is designed for all staff who undertake a role related to the supply chain. This might include personnel concerned with all aspects of supply work, including acquisition, inventory management, logistics, contracting and contract management. This is a foundation-level course and assumes little to no prior formal Supply Chain training. Why Choose the CSCMP™ Designation? There are lots of Supply Chain-related designations on the market, so why get CSCMP™ qualified? Two for one value. What do I mean? The CSCMP training is designed to be aligned with other well-known supply chain qualifications and international standards on the market so by taking the CSMP certification you not only gain the CSCMP certification, but you’ll also be equipped to take other Supply Chain-related qualifications without having to take additional preparation courses. We adopt a proactive, participative and delegate-centred approach with emphasis on the practical application of the tools, techniques and templates. The creation of Action Plans by the participants has always been the experiential dimension to all our courses. We appreciate the need to ensure the learning is embedded into the fabric of the organisation and we use context – based case studies and other tasks to achieve this. Belief in on-going development. Other designations only require to take a one-off course and test and you are “certified” forever without any on-going professional development requirements. While that seems great on the surface, we believe in taking the Supply Chain Management profession more seriously. We believe in a requirement to continuously keep up-to-date and adding skills to your development in order to be taken seriously as a professional. It’s why we provide all of this as part of your on-going Membership. How is being BAC Accredited different from CPD Accredited? CPD accreditation looks at the quality of materials covered in a course. So it doesn’t look at the company delivering the course. Using a food manufacturing example, CPD would look at the ingredients listed in the making of a food product. As long as the ingredients and quantity are acceptable, then they would be approved for “CPD”. Whereas, being BAC Accredited means the food manufacturer is physically inspected for how it produces its food product and how it guarantees a standard quality of delivery. It’s taking CPD accreditation one step further. 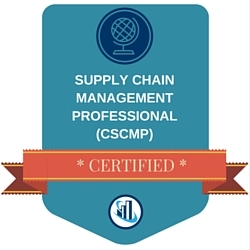 This digital badge designates you as a Certified Supply Chain Management Professional (CSCMP)™, which you may use on business cards, resumes, LinkedIn profiles, website profiles, email signatures and more. In addition to the Certificate of Completion for the course in general, if you successfully pass the Certification exam, you also receive a CSCMP™ Certificate to mark your achievement. In order to keep your status as a CSCMP™ in good standing, you need to regularly take Continuing Professional Development courses. You get at least $19,174.64 of value for just $3997. * Attention: Venue, dates, course fees, promotions, course content, course instructor are all subject to change. Contact us for final details before making any final arrangements.